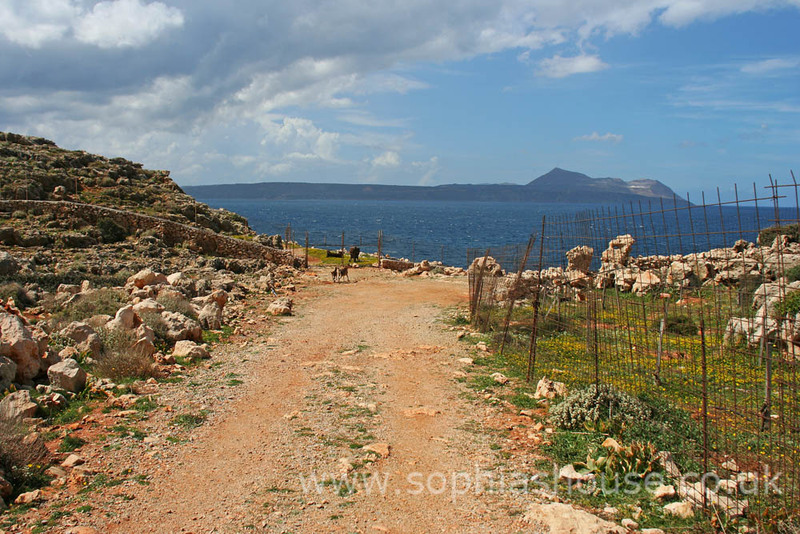 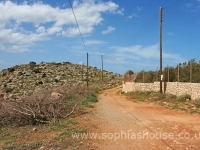 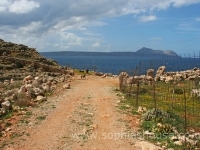 From “Sophia’s House” drive down to Almyrida, when you get to the crossroads (with 2 telegraph poles on your left) turn right and follow the road to Plaka. 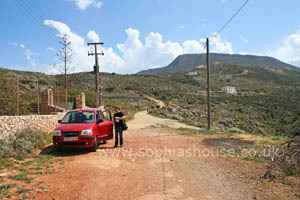 Drive through Plaka’s main square; go past the supermarket and garden centre on your left. 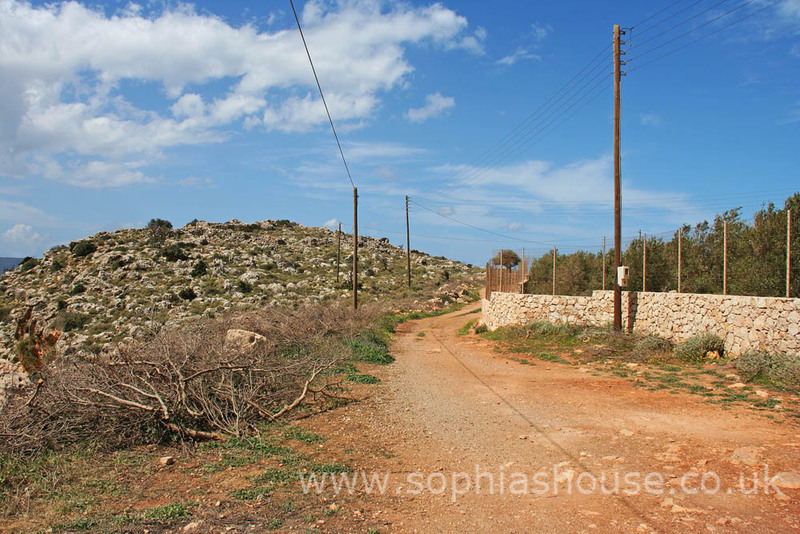 Follow the signs for Kokkino Chorio, follow the road through the village until you reach a junction with a Greek road sign FAROS lighthouse. 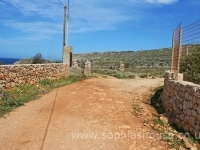 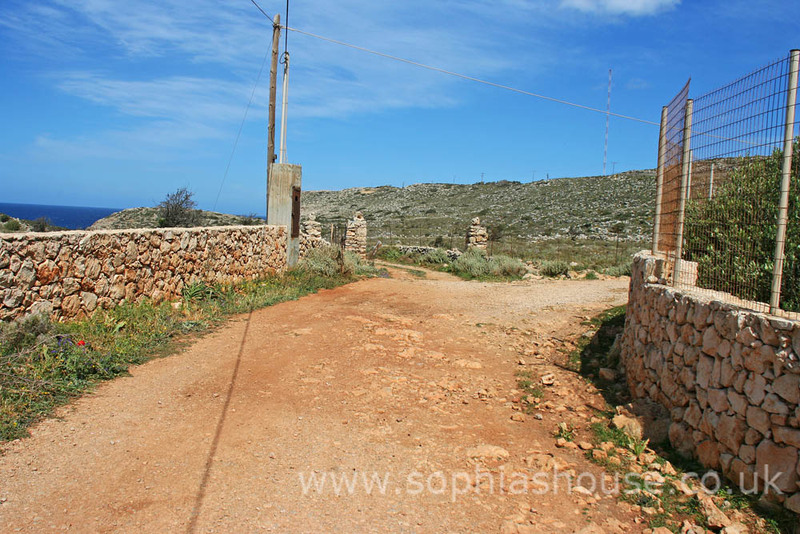 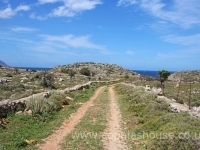 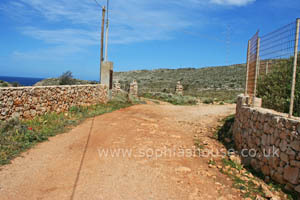 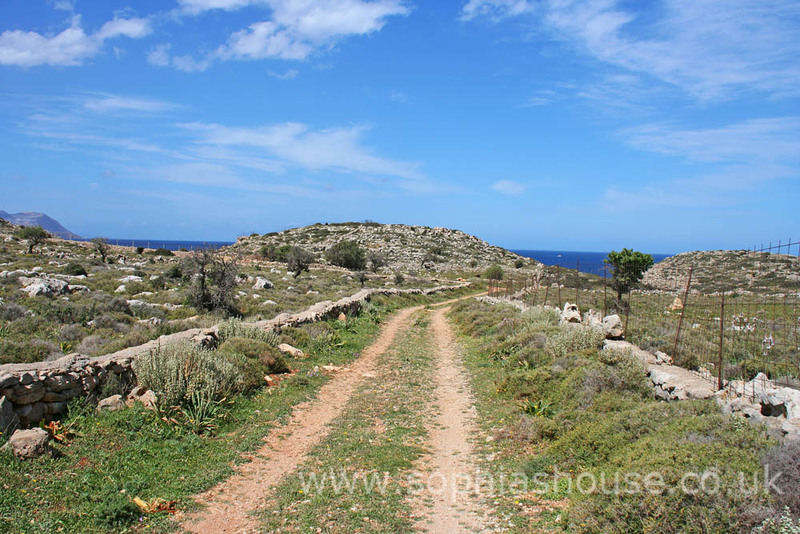 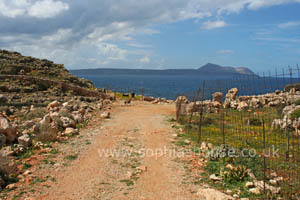 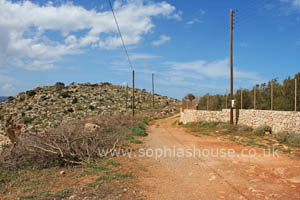 Follow the road for about 800metres, you will see 2 houses on the left. 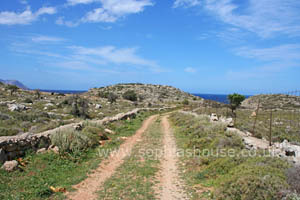 Turn left down the track just after these houses and follow the road down, you will see a turn to the left that leads to a small cove with a beach. 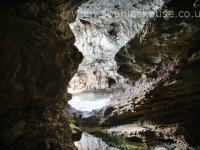 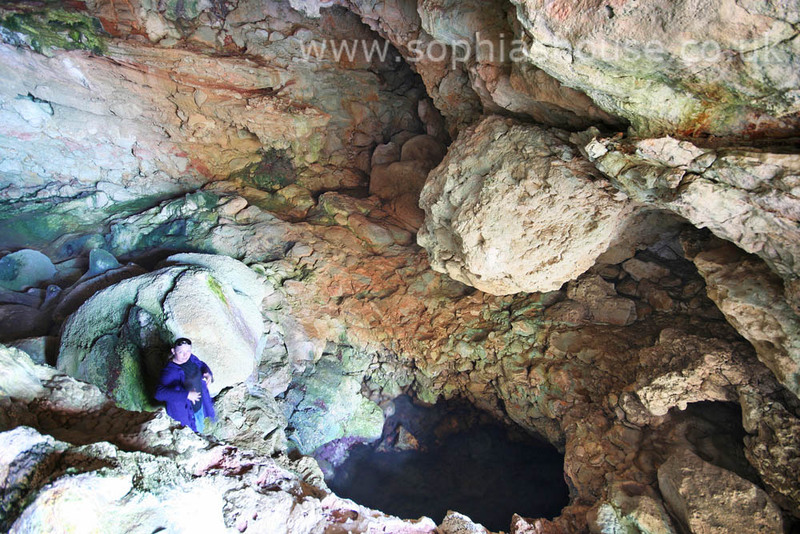 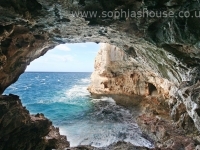 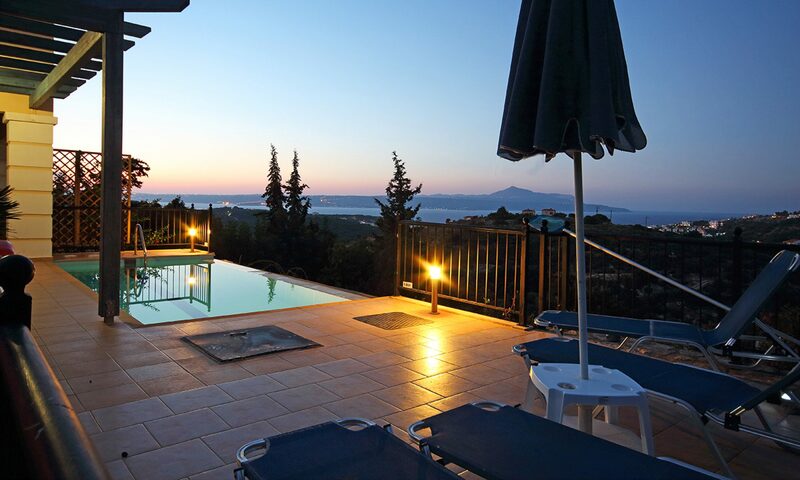 (Visit this after the cave if you wish!). 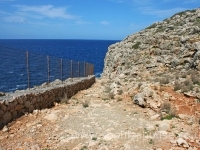 Bear to the right at this junction for the cave, and follow the track (turning left between two stone posts) until you see a big fence in front of you, park here and walk down to the cave (keeping the fence on your left). 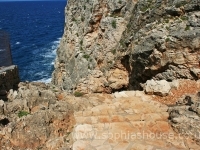 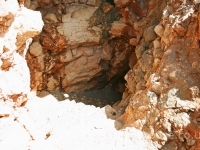 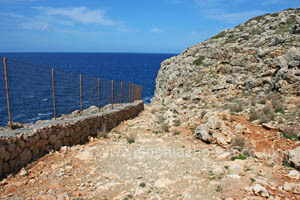 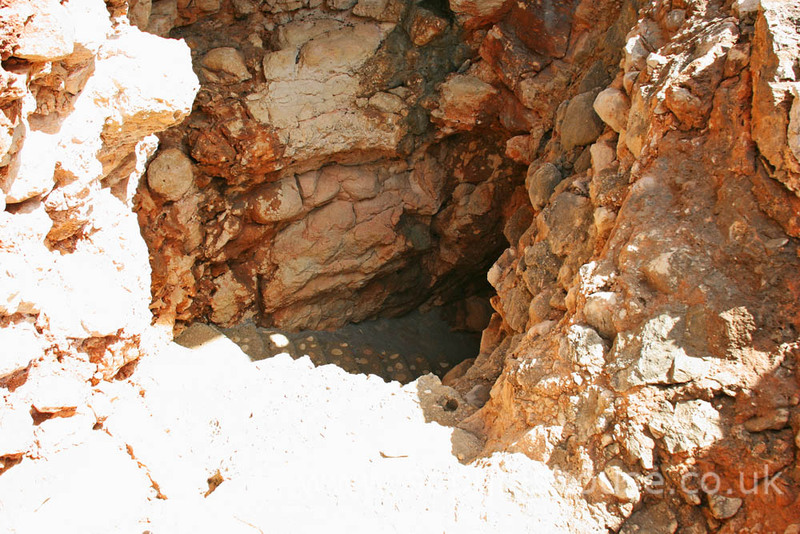 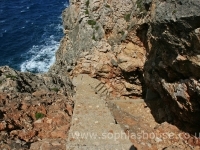 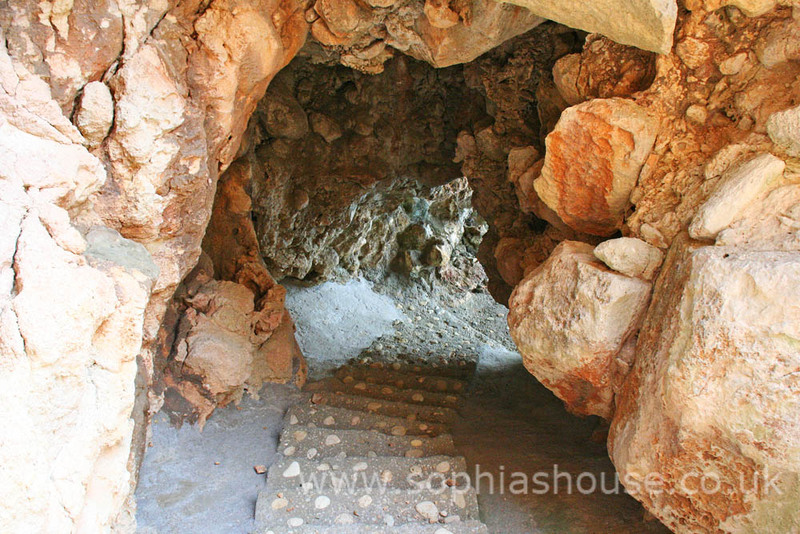 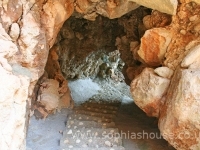 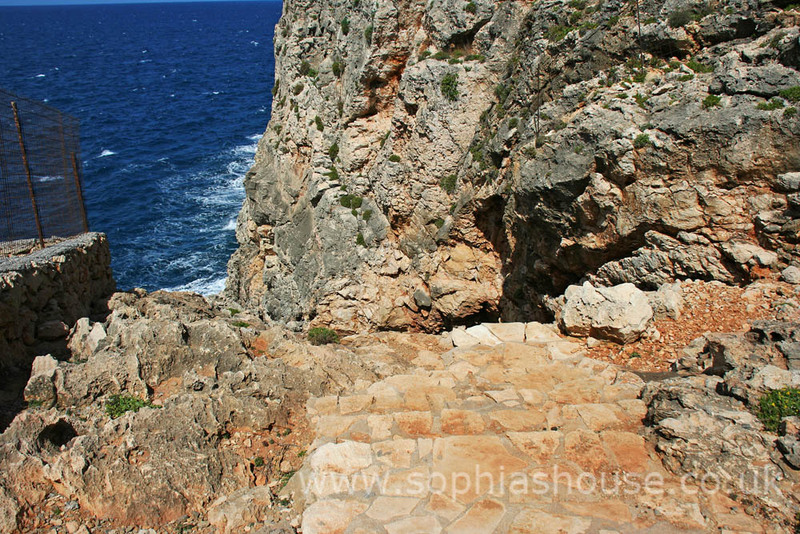 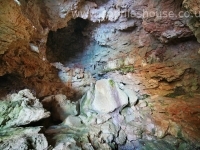 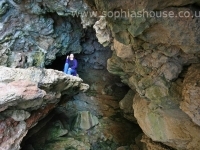 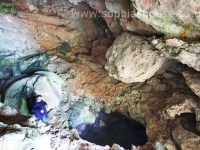 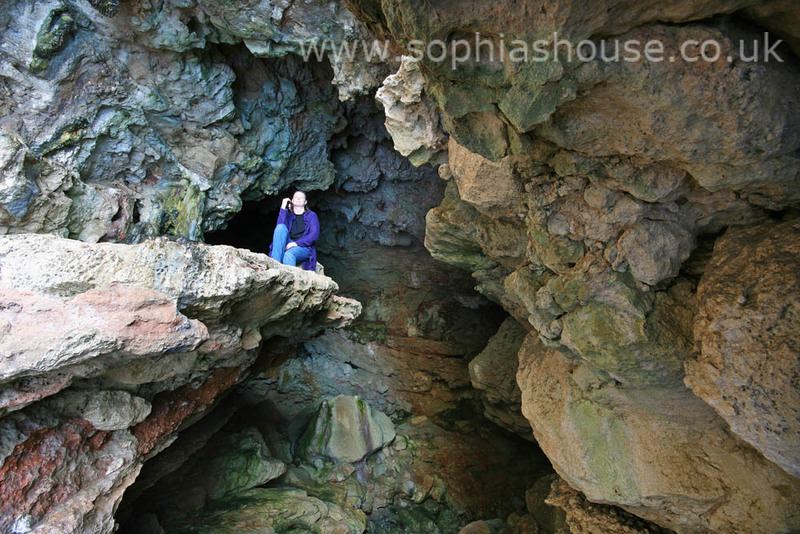 You will see the top of the steps that lead to the cave, be careful as there is no hand rail and they are very steep. 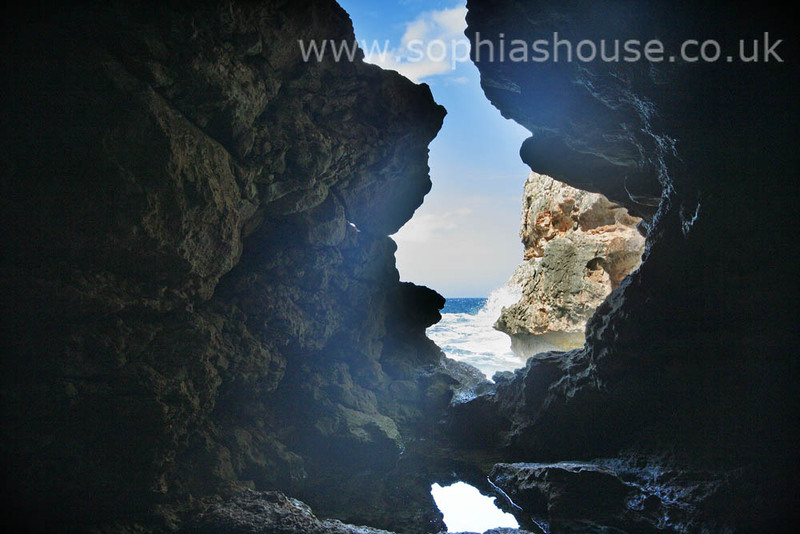 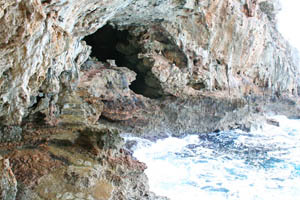 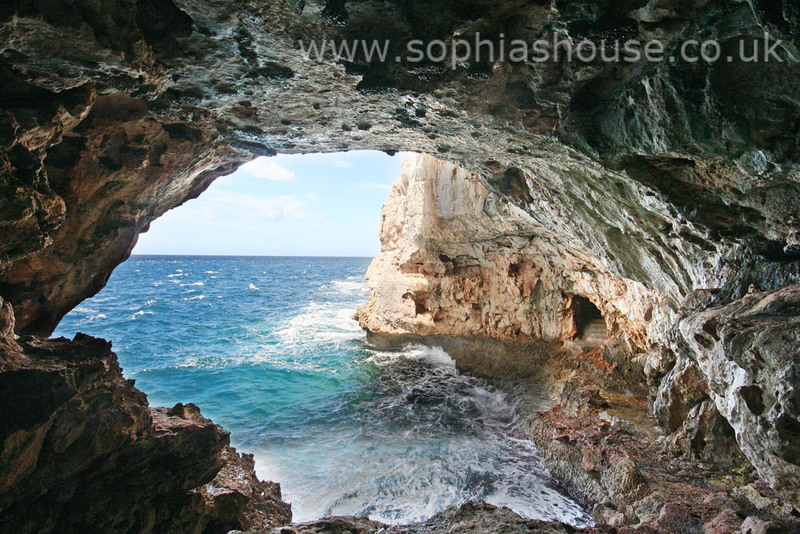 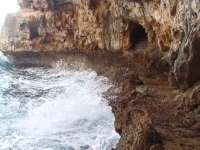 When you get to the bottom of the steps you will see the cave on the other side of the small bay. 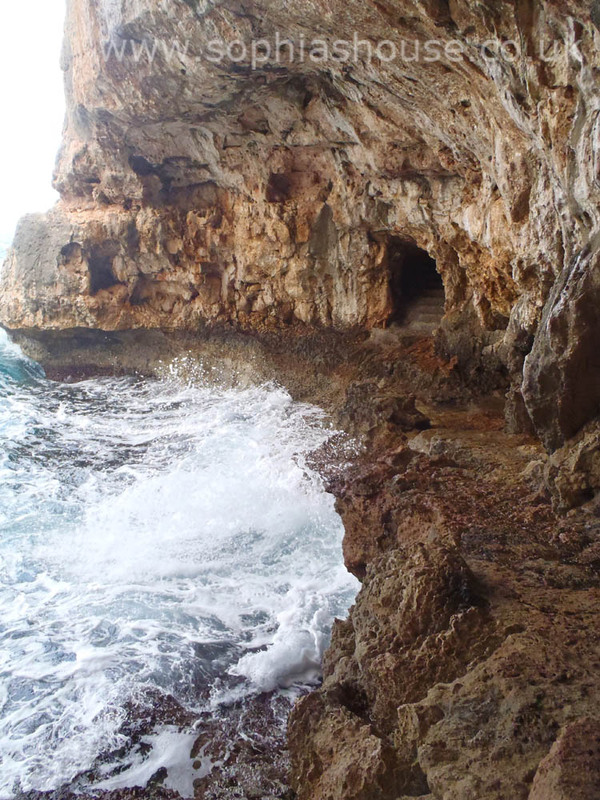 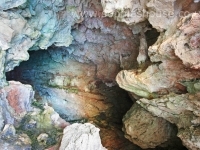 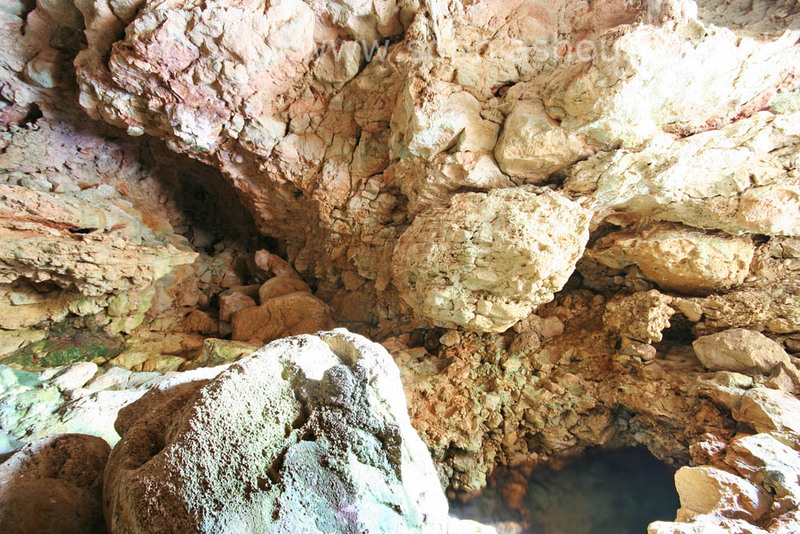 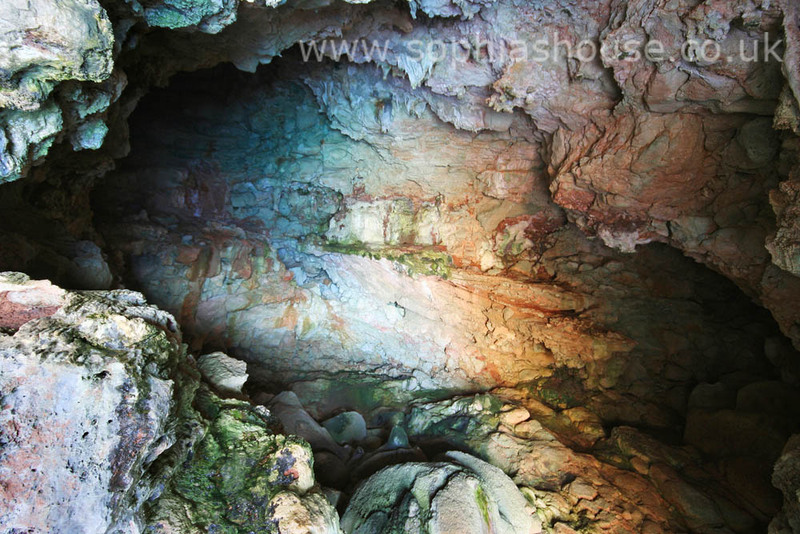 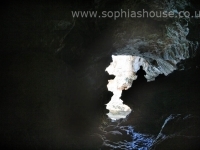 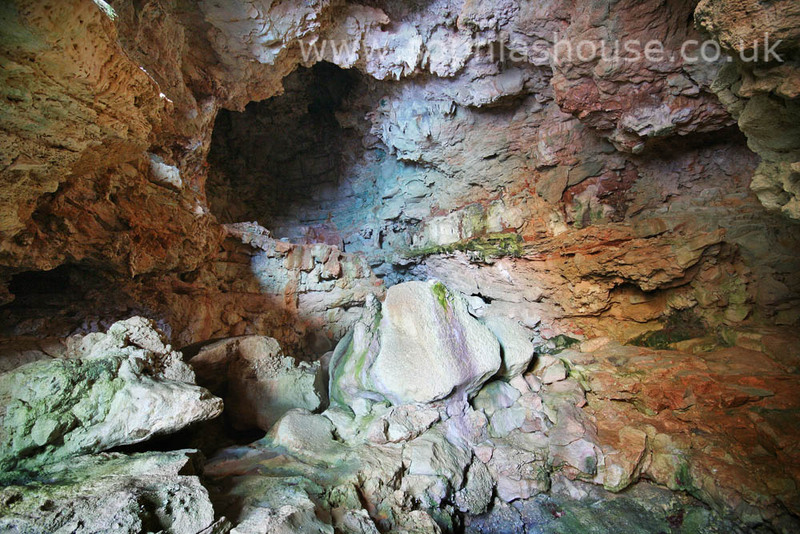 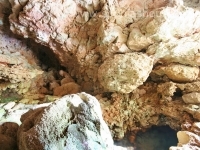 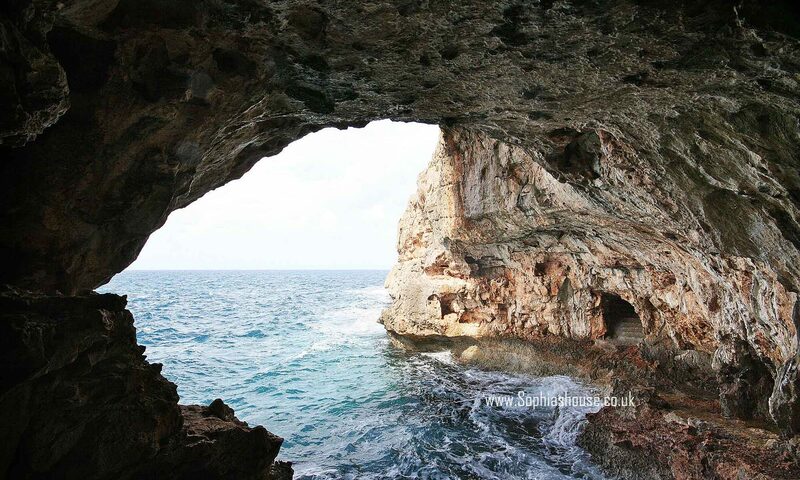 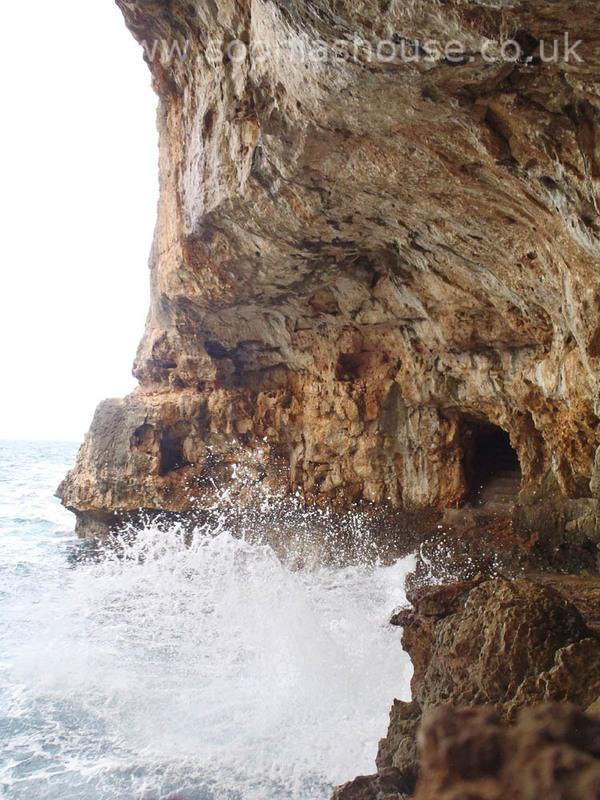 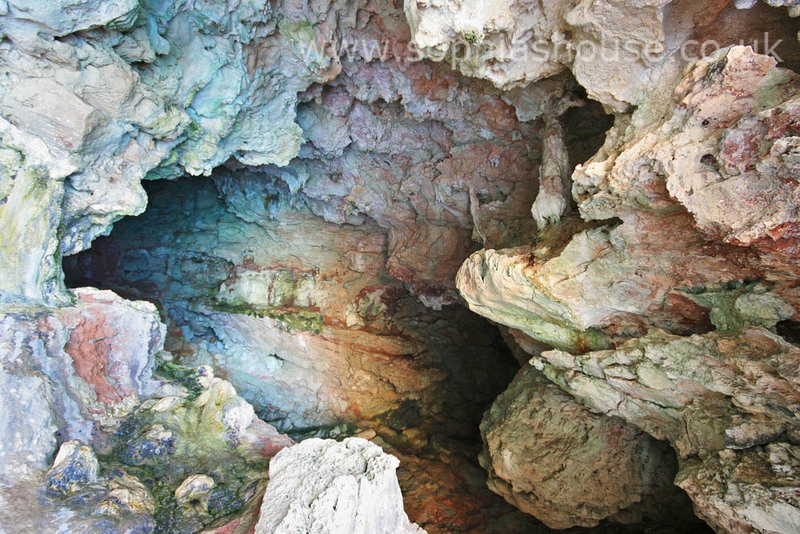 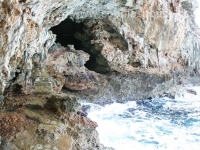 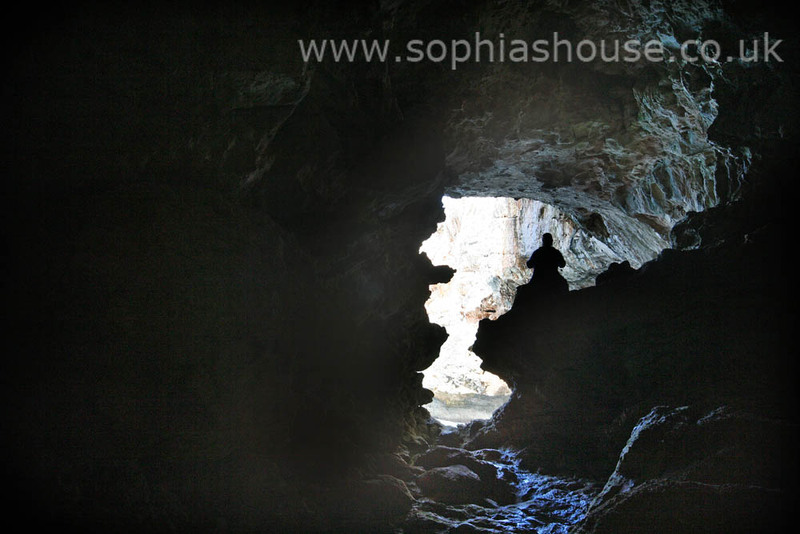 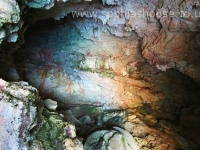 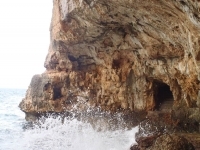 Be careful, (especially if the sea is rough), walk across the rocky path and into the cave, explore every nook and cranny, you can get right into the cave if you climb down and go under the overhang, again be careful it could be slippery and there are deep pools of water inside.